Have you been busy searching for information on umbilical cord blood? If so, then search no more because you are at the perfect page with. Guidetocordblood.wellnessandrelief.com is informational resource for patients, parents and their families. Umbilical Cord blood is the blood that remains in the vein of the umbilical cord and placenta at the time of birth, it’s rich in powerful stem cells which give rise to all the other blood cells and it’s the foundation of our bodies immune system. It can only be collected at birth for potential future use. It might surprise you to know that these stem cells can be used now for medical treatments. As a matter of factm they are already being used to treat nearly 80 diseases, including: leukemia, lymphoma, anemia, and inherited metabolic disorders, and there is an expanding range of new therapies being researched that anticipate using umbilical cord blood in the future. 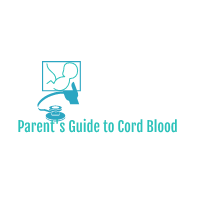 Guidetocordblood.wellnessandrelief.com provides you with those vital information you need on the importance of cord blood and cord blood banking. 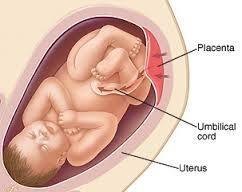 We are here to help you know more about possible donations and benefits associated with umbilical cord blood. Statistics show that over 50,000 transplants worldwide have been performed using stem cells from umbilical cord blood and because stem cell technologies continue to advance, the opportunities to utilize preserved cord blood are steadily increasing. You can actually preserve the umbilical cord of your newborns, since cord blood has an abundance of stem cells and everyday medical use of stem cells is expanding at a rapid pace, collecting and cryopreserving cord blood is no longer viewed as luxury in life, but more as a wise investment towards your family’s future health. Stem cell treatments and transplants are currently being performed around the globe on a daily basis to treat conditions such as cancers (including lymphoma and leukemia) and inherited metabolic disorders. Knowing more about umblical cord blood will go a long way in helping you make that lifetime important decision for your sake and that of your off springs.